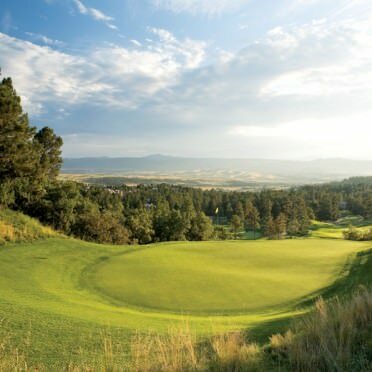 The Country Club at Castle Pines is a premier country club and private golf club located in the exclusive Castle Pines community of Castle Rock, Colorado; boasting a Jack Nicklaus Signature design at almost 7,000 ft.
Take I-25 to Happy Canyon Road (Exit 187). Go west .7 mile to Castle Pines guard house. Turn right and follow signs to club. Dress Code: Call club for details.